There truly is no business like show business. The late-19th and early-20th centuries witnessed the birth of vaudeville entertainment—stage shows featuring magicians and musicians, circus performers and comedians. Many of these vaudevillian artists would eventually step into the Hollywood spotlight and cement their places in cinematic history. Today, a Great Neck resident has devoted his life to the study of vaudeville and has written a critically acclaimed book about its history. Travis Stewart, or Trav S.D. as he’s known on the page and stage, has been involved in show business all his life. Starting out as a stand-up comedian and playwright in his youth, he once worked as a personal assistant to singer Tony Bennett and, for a time, he worked for the Big Apple Circus before starting his own theater company, Mountebanks. 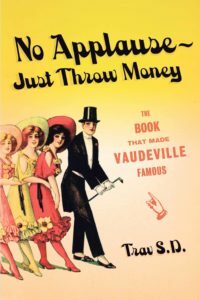 In 2005, he wrote a book called No Applause, Just Throw Money: The Book That Made Vaudeville Famous about the history of the art form. He launched his blog, Travelanche, in 2008, and travels the country giving lectures about show business and hosting various vaudeville festivals. 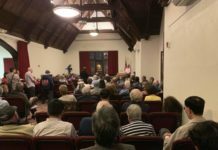 The writer, who moved to Great Neck earlier this year, enjoys teaching people about local history, especially as it pertains to the entertainment industry. Trav’s love of vaudeville and cinema began at an early age. Having grown up in the Television Era, he also enjoyed watching the variety shows of the day, including The Ed Sullivan Show, Donnie and Marie and Flip Wilson. Hope starred in one of Trav’s favorite films, The Seven Little Foys (1955), which tells the story of a vaudeville performer who incorporates his seven children into his act. Trav S.D. 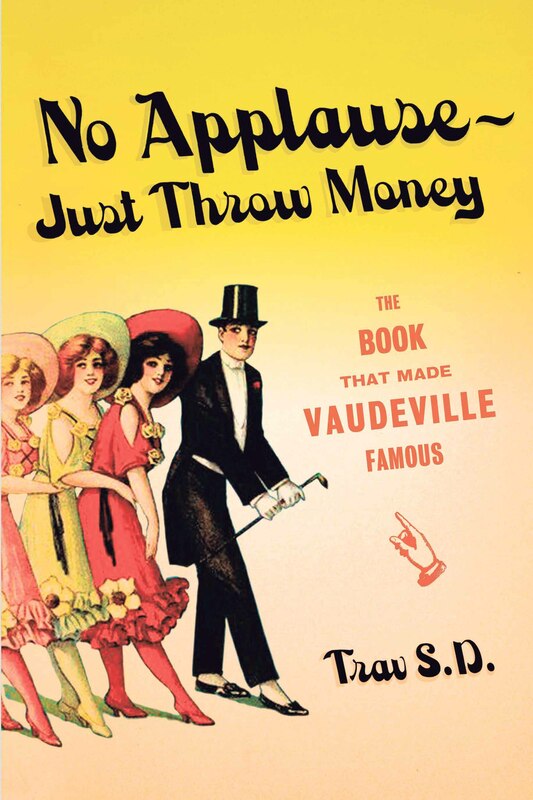 wrote No Applause, Just Throw Money: The Book That Made Vaudeville Famous about the history of the art form. Trav has written for The New York Times, Time-Out New York and The Village Voice. He was also featured in a New Yorker article about the revival of burlesque. A publisher from Farrar, Straus & Giroux found him through his various articles and gave him the idea to put all of his research into a book, which would eventually become No Applause, Just Throw Money. Some of the praise for Trav’s book came from Broadway legend and award-winning actress and singer Bette Midler. 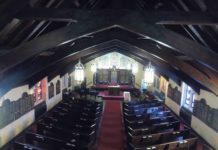 Trav has helped produce three festivals that have been tributes to major vaudevillians: In May 2014, he was responsible for staging a big Marx Brothers Festival in New York City; he worked on a W.C. Fields celebration in October 2016; and, most recently, he hosted a festival dedicated to Mae West in honor of her 125th birthday at the Cinema Arts Center in Huntington. The festival included a screening of West’s 1933 film I’m No Angel. He went on to say that Mae West had a very interesting life and was a pioneer for female entertainers in her day. In 1927, after several of West’s Broadway performances were deemed too risqué, she was put on trial at the Jefferson Market Library in New York City and found guilty of obscenity. She served seven days of her 10-day sentence and her incarceration was relatively cushy. Trav loves working as a writer and historian. 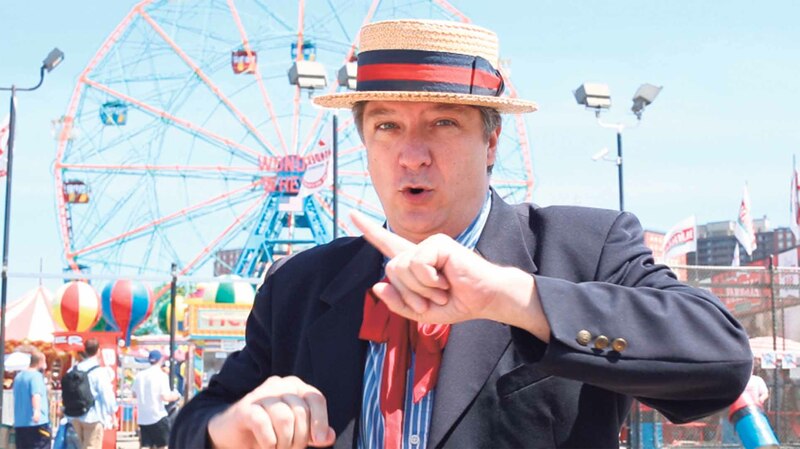 In September, he spoke nearby at the Brandywine Assisted Living facility in Little Neck, discussing the continued tradition of live burlesque shows that take place at Coney Island. To follow his adventures, find him on Facebook, Twitter and at www.travsd.com.